Categories: Children's Hair Care, Daily Care, Wash Day. 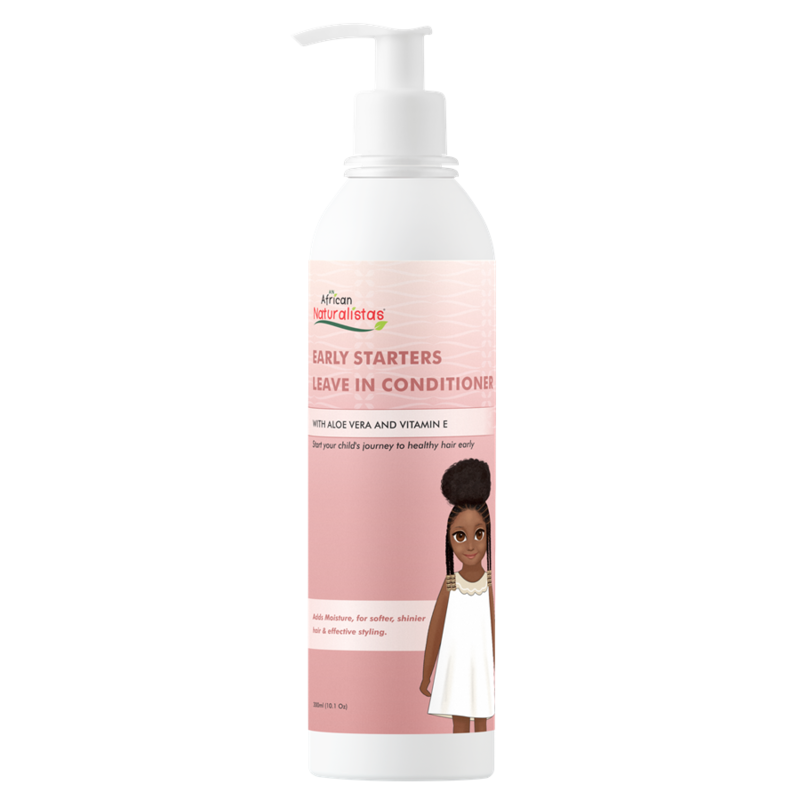 The Early Starters Leave-In Conditioner has been manufactured to help your child have and maintain good and soft from their early years. With a combination of the finest blends of natural ingredients and quats, it is sure to leave your hair feeling smooth and soft. For Daily application, apply generously through hair, leave in, and style as desired. For wash days, shampoo and rinse thoroughly, apply generously throughout the hair, and leave in.